If you don't have sidewalks or parks, learning to ride a bike can be dangerous. Now kids outside Seattle have a better option. Just outside Seattle, the low-income community of White Center doesn't have bike lanes or even many sidewalks. It's a hard place for five-year-olds to learn to ride a bike. But the neighborhood now has a solution: a "traffic garden" that recreates city streets in a safe playground. "It's a place that kids can learn to ride around, can learn to stop and to yield and to watch for pedestrians and cars," says Elizabeth Kiker, executive director of the Cascade Bicycle Club, which led the project. "And a bike playground gives kids a place, first and foremost, to have fun—that's how you entice people in." 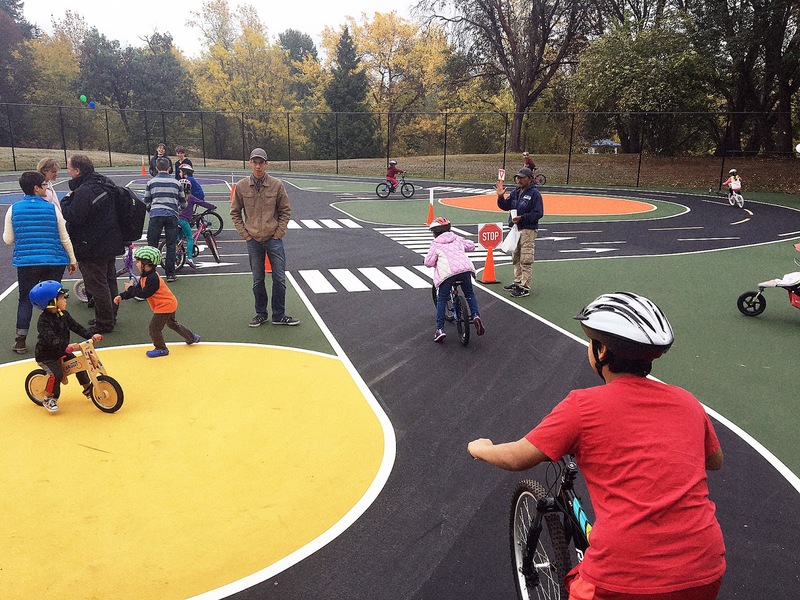 The new bike playground, modeled on similar playgrounds in Europe, was built on a little-used tennis court in a local park. As much as possible, it's designed to look like real city infrastructure. 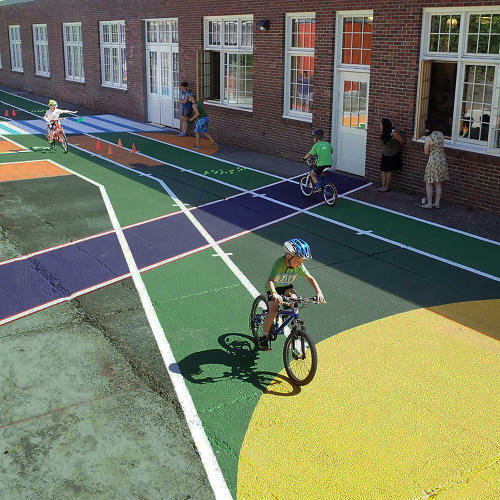 "It's a very literal street system," says Steve Durrant, principal at Alta Planning + Design, a firm that designed the playground pro bono. 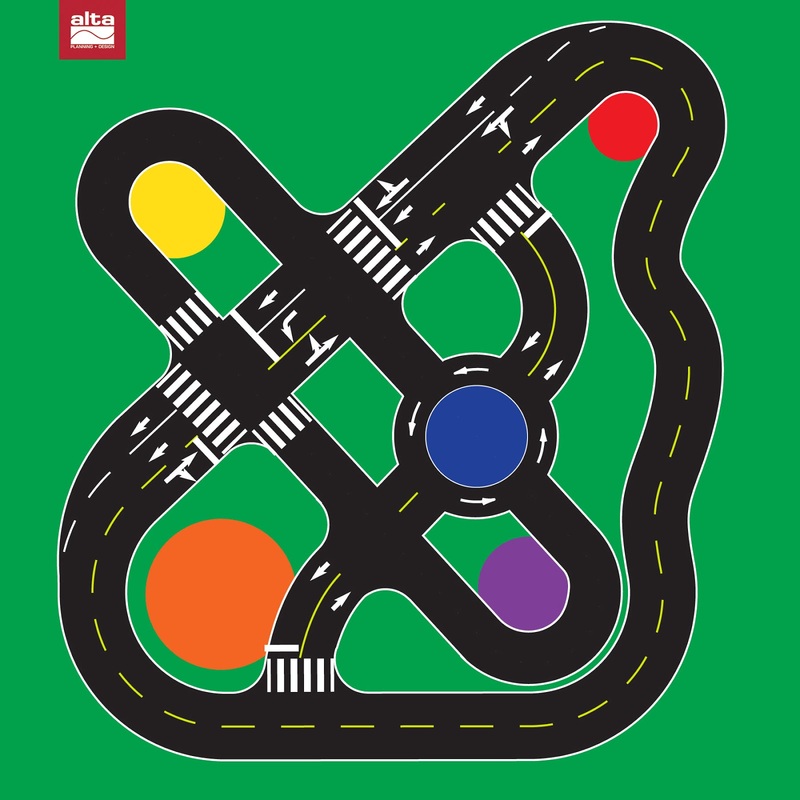 "It's got black roads with white lines and arrows and crosswalks. So the skills that are taught to the students translate very easily into the real world, because it's a system similar to what they've seen out in the neighborhood." Cascade hopes to build similar playgrounds throughout Seattle, which is a challenging place to learn to ride in any neighborhood, in part because of hills. "You don't have to teach kids on steep hills, or navigating intersections with cars and people," says Kiker. "You could actually teach them in a controlled environment." They also hope that other cities will copy the design. "This is a model not only in the region, but in the country," says Kiker.